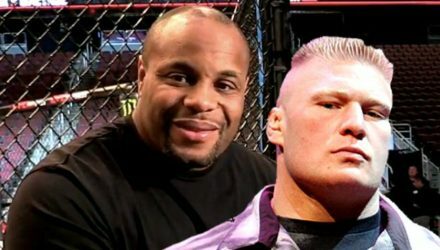 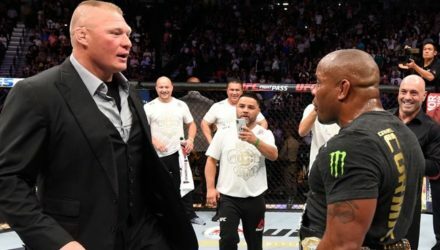 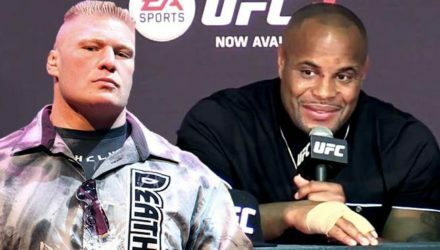 The long rumored fight between UFC heavyweight champion Daniel Cormier and WWE Universal Champion Brock Lesnar is reportedly being targeted for UFC 241. 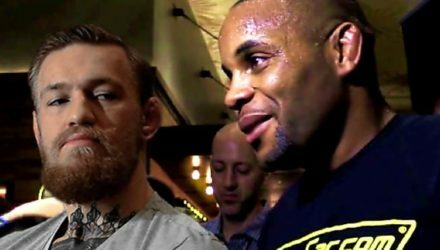 UFC president Dana White had a few thoughts on what is next for superstars Conor McGregor and Daniel Cormier. 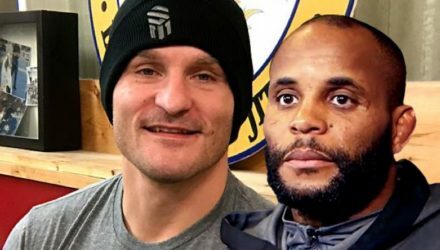 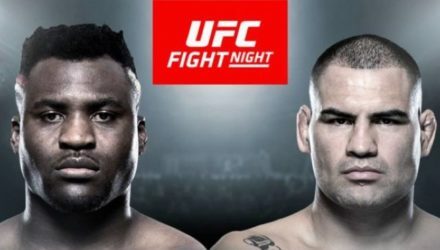 Daniel Cormier breaks down the UFC Phoenix main event matchup between Francis Ngannou and former heavyweight champion Cain Velasquez. 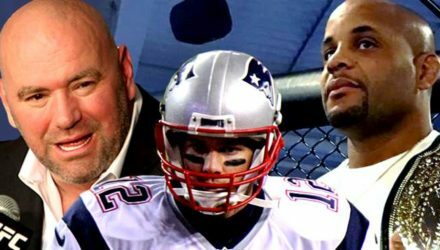 Dana White doesn't think NFL quarterback Tom Brady should retire. 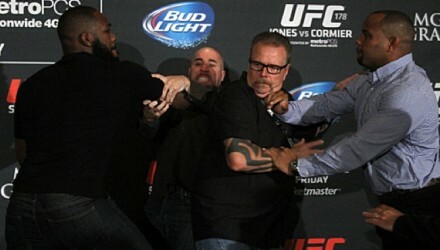 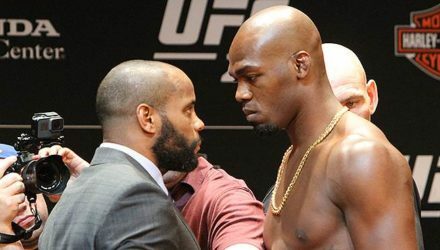 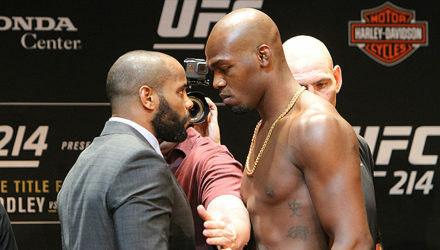 He doesn't think Daniel Cormier should either; he sees three big fights left for DC. 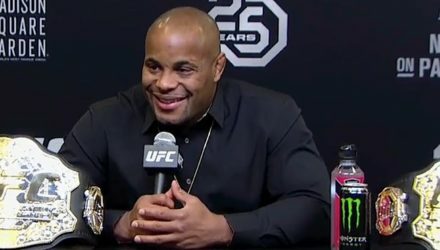 Daniel Cormier previews the main event matchup at UFC Fight Night Fortaleza between Raphael Assuncao and Marlon Moraes. 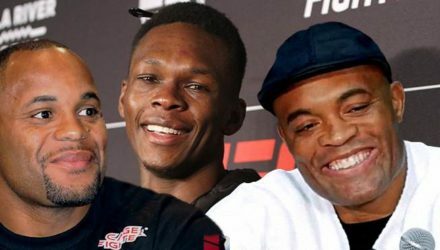 Daniel Cormier previews the co-main event of UFC Fight Night Fortaleza between former featherweight champion Jose Aldo and Renato Moicano. 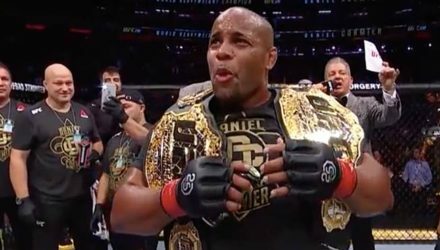 UFC champ-champ Daniel Cormier no longer feels he is in the shadow of Jon Jones, claiming he is the definition of a pound-for-pound great. 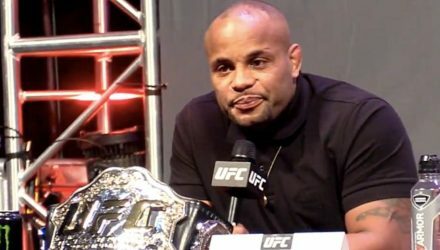 Daniel Cormier previews the UFC Brooklyn main event match-up between flyweight champion Henry Cejudo and bantamweight champion TJ Dillashaw. 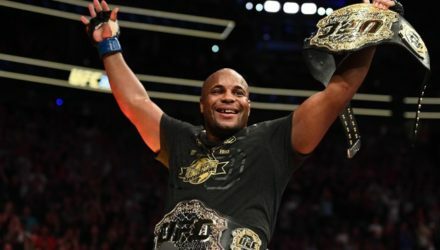 ESPN The Magazine added another accolade to Daniel Cormier's resume by naming him as one of the most dominant athletes of the year. 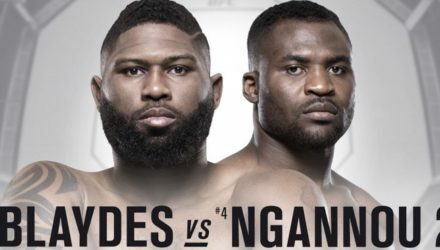 Two-division champ Daniel Cormier previews the main event rematch between Curtis Blaydes and Francis Ngannou set to go down at UFC Beijing. 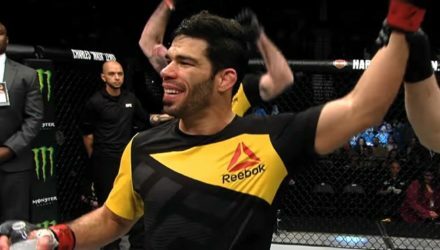 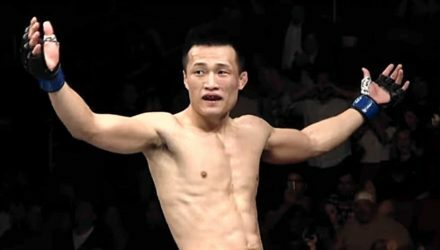 Joe Rogan and Daniel Cormier breakdown the main event matchup in Denver between "The Korean Zombie" Chan Sung Jung and Yair Rodriguez. 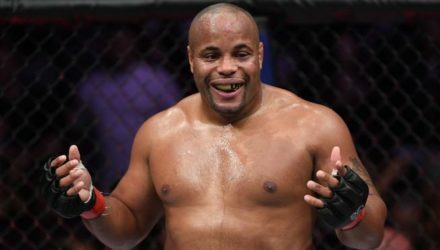 Daniel Cormier added to the history books at UFC 230 when he submitted Derrick Lewis in the second round. 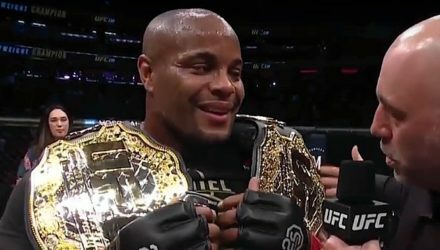 Two-division champ Daniel Cormier on Saturday became the first fighter in history to defend the UFC light heavyweight and heavyweight titles. 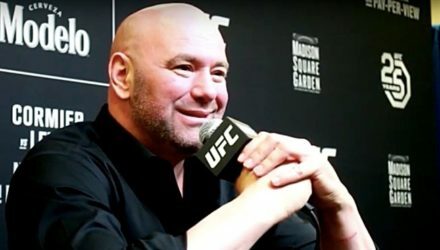 UFC president Dana White, at the UFC 230 post-fight press conference, couldn't say enough good things about Daniel Cormier.